We fight for the rights of dog bite victims. Have you or someone you love been attacked by a dog in South Carolina? Have you suffered injuries that required hospitalization? If so, you may be entitled to compensation from the dogs owner. Call Harbin & Burnett at 1 (888) 821-0247 NOW to speak with our experienced dog bite lawyers. We offer a FREE consultation for all new clients. We will fight to get you the justice you deserve. Thousands of people suffer severe injuries from dog attacks each year. In the worst cases, the damage can require expensive surgery or even cause death. Children are especially vulnerable to dog bites, and can suffer long-term physical disability and emotional trauma as a result of a dog attack. Dog attacks can often result in severe injuries which require surgery, rehabilitative therapy and even long-term disability. Below are some common types of injuries suffered from a dog mauling. Injuries from dog attacks can also occur when a dog knocks someone down, not just from a bite. An aggressive dog can push someone down a flight a stairs, off their bicycles or while walking. In South Carolina, dog owners are strictly liable for injuries caused by their dogs, whether it was the first time they attacked or not. Other states have a one free bite rule, that lets owners off the hook for the first recorded attack. The experienced dog bite lawyers at Harbin & Burnett can help you recover compensation for your injuries. Injured by an aggressive dog? Call 1 (888) 821-0247 now for a free consultation. If you or a loved one has been bitten by a dog, get away from the dog and seek medical attention. Call 911 and file a police a report. You should also contact animal control. If the skin was broken, you must report the bite the South Carolina Department of Health and Environmental Control (DHEC), to make sure a rabies test is properly administered. If you can, take photos of the injuries and the scene of the mauling. Try to get photos of the dog as well. If you were able to get the dog owners contact information, you may try to contact them for vaccination records. Most counties have an office or department responsible for handling animal bites. Below are contacts for Upcountry South Carolina animal control offices. In South Carolina, most dog bite injuries are compensated through the dog owners homeowners insurance. The legal term for this is premises liability. Over one-third of premises liability claims paid out each year are for dog bites, according the Insurance Information Institute. The insurance company may try to deny your claim, or find a reason to reduce the amount they owe. Some insurance companies try to not sell to households with dogs, avoid selling to people with certain breeds of dogs, or may even ask the owners to sign a waiver excluding dog bites from the coverage policy. Some insurers try to cap their liability at $100,000 or $300,000. Most insurance companies will try to get the victim to settle quickly, before the full magnitude of the injuries is realized. They may try to interview you in a way that is designed to discredit you or make it appear as if you provoked the dog. In order to ensure your claim is handled properly, you should consult with an experienced dog attack attorney. Find out if you are entitled to compensation. Fill out our free case evaluation form NOW. Nearly two-thirds of children attacked by dogs are bitten on the head or neck. Almost 70 percent of dog bite fatality victims are children under 10 years old. Half of all dog attack victims are children under 12 years old. If you or a loved one has been injured by a dog bite in South Carolina, seek medical attention, then call the attorneys at Harbin & Burnett. 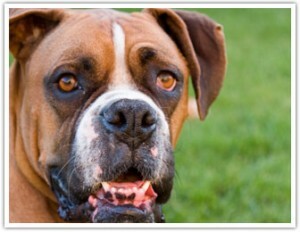 Our experienced dog attack lawyers can help get you the compensation you deserve. Call us for a free consultation today. Call 1 (888) 821-0247 now for a free consultation.